He's a wee Wick! Fans of the John Wick franchise of films can now re-enact the action on their shelf with this box set of 2-inch Minimates based on John Wick Chapter 2! 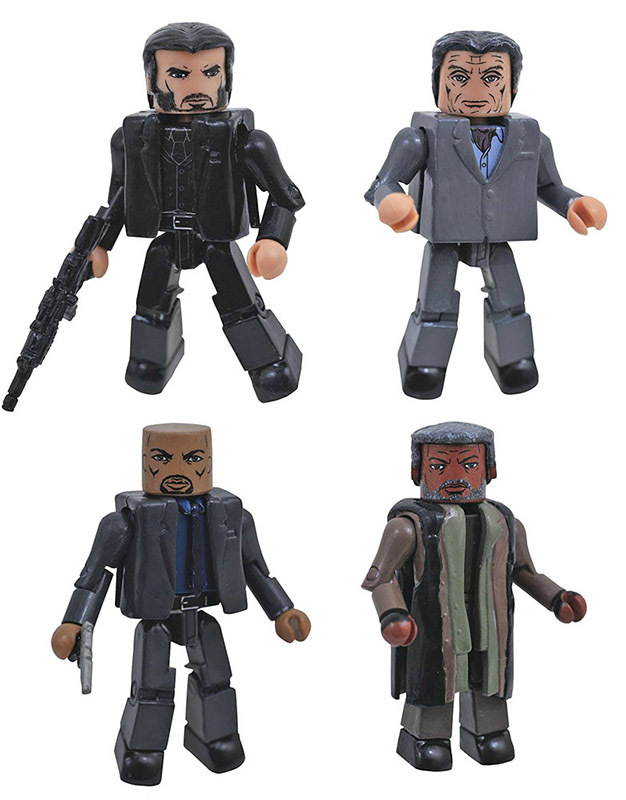 John Wick, Cassian, Winston and the Bowery King each feature 14 points of articulation, and the set includes multiple interchangeable parts and accessories.